I always loved photography, since I was young. And since Flickr is probably the best place on the internet to find great photos and inspiration, I always spent a lot of time there looking for great photos and photographers. One thing that I never liked on Flickr, is how hard it is to download photos. You have to open the photo, click on the "All sizes" option, choose the best quality, right click it and save. Imagine that if you want to save a whole Set of photos? It's a nightmare! That's why I've created DownFlickr! 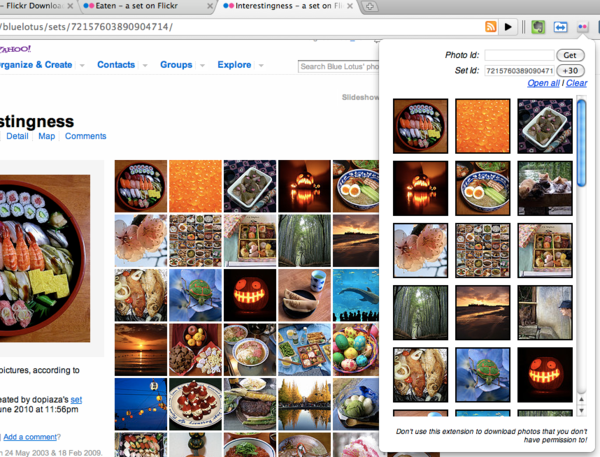 It's a Google Chrome extension, that helps me to download single photos or full sets automatically. I've programmed it at one night, just because I wanted to download a Set with more than 100 photos and I never thought it would help so many people. It's not even that good, it's just really helpful. But now it has 2200+ users and it's featured on first page when you search for "flickr" on Chrome Extensions page.